With the hot days of summer rapidly coming to an end, it's time to start thinking about how you will be spending those cold winter days. For many of you that means spending time in the garage or shop getting home improvement projects done. Even if it's more of an excuse to spend some man time alone, rather than actually getting a DIY project done the simple fact remains - this is a great time to start thinking about what tools you might want to add to your collection this year! Besides learning the skills to cut wood professionally, woodworking requires different types of tools as well. One such tool is a table saw. If you’re planning to get one, it’s important to conduct some research and find the one that’s most suitable for your needs. Without a doubt, a table saw is a great investment for any woodworker, carpenter or a hobbyist. Most of you may be shopping for a table saw for your home shop - rather than for your work so some things may be more important than others since many reviews are written with the professional carpenter or contractor in mind. For the home customer though, it is important that you know what you need and what features you are looking for. Being very specific about your needs will help to ensure that you are able to select the right table saw for any DIY home improvement projects you may have in mind. It’s important to understand what these categories mean before buying a table saw and how they impact your ability to complete fun as well as practical DIY home improvement projects. 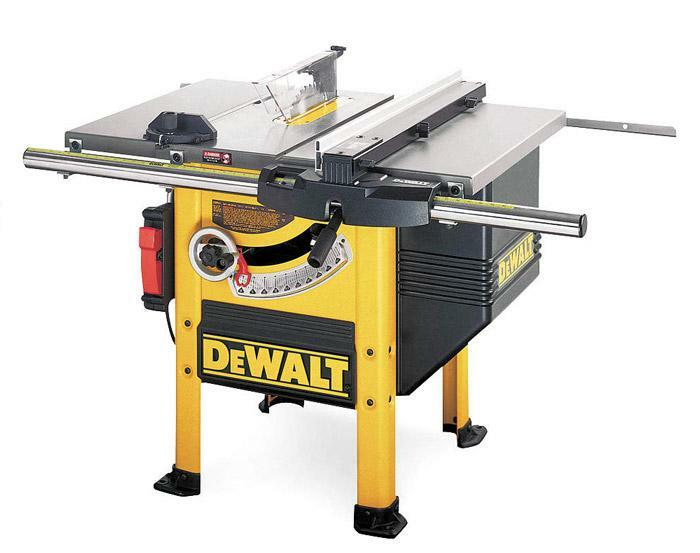 This overview will give you a clearer idea of what to expect from each category of table saws. Weighing over six-hundred pounds, these table saws are of the heaviest type and often the most costly because of their size. Typically, they feature a heavy table of cast iron, a cabinet saw has a smooth surface. Beneath the table, you’ll see a motor that’s enclosed with the cabinet. The gearing and trunnions of the saw are precise yet heavy-duty. If your work involves cutting even the thickest stock of hardwood, a cabinet saw is just the right choice for your woodworking needs. Specifically designed for professionals, this table saw will help you cut the hardwood even for an entire day. The good thing is that it shows less vibration on the nerves. For those of you with a large dedicated space to build out your home wood shop then a cabinet table saw can be an ideal choice. For those of you who need mobility though, a contractor table saw might be a better choice. If you’re a building contractor by profession or even a DIY hobbyist who enjoys wood projects and furniture just like these craftsmen, a contractor table saw could be the perfect choice for your woodworking needs. Because of its light-weight structure, you can move it easily. For contractors this means lugging it in and out of the truck and setting it up at the worksite. For home use it means that you can easily store it out of the way in your garage! If portability is what you prefer, choosing a contractor table saw with a 1hp motor makes sense. If you want a deep cut (e.g. 1/8’’), the contractor table saw can give you a similar result. That’s because the arbor is driven by the motor through only one belt. This reduces excess vibration due to which you can use the saw more comfortably. This way, you’ll also be getting smoother cuts. What if you get the functionality of a contractor table saw and the convenience of a cabinet table saw? Interestingly, this need has been considered well. The result: a hybrid table saw! 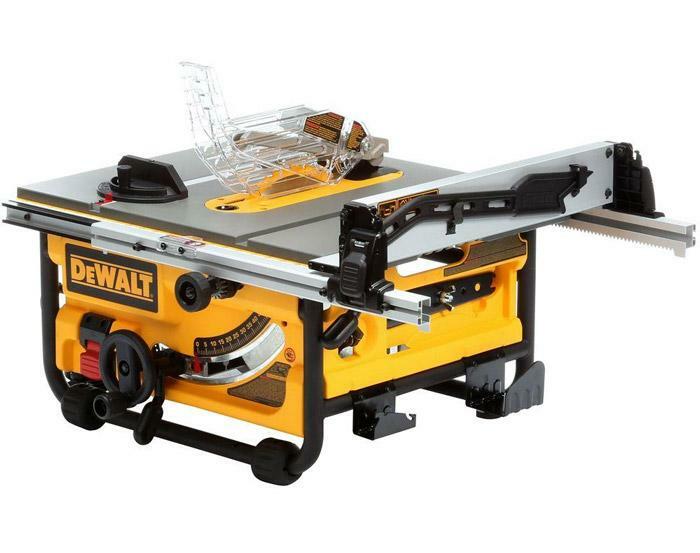 As the name suggests, it blends the features of a contractor and cabinet table saw. Having a base resembling a cabinet table saw, a hybrid table saw is equipped with a higher number of arbor bearings and trunnions. Plus, you’ll notice it offers an advanced system with better gearing as compared to contractor saws. Choosing a hybrid table saw is worthwhile as it’s a better version of cabinet saws. Equipped with 1-1/2 or even higher HP range, it can be the best bet for your home shop. A portable table saw, as the name suggests, is easily movable and provides convenience to the craftsmen while they’re on the move. Typically these are smaller than the hybrids but are ideal for the home craftsman looking for something that is easy to put away when it is not in use. Moreover, you don’t have to compromise on the quality of work because these portable table saws can still carry out the same amount of work as heavy machines. Contrary to the other categories, these do not include large induction motors. These type of table saws are powered using a compact universal motor. However, this factor could make these table saws comparatively noisier and less powerful. With all those positive features, it’s also essential to know that portable saws aren’t suitable for working with hard and thick woods. So, if you’re planning to carry it to a region where the wood is very hard to work with, this may not come very handy for you. Similarly, the design of this type of table saw is also not suitable for certain woodwork that requires immense precision. To make sure you don’t lag behind, other categories may be more suitable to your carpentry demands. Now that you know the nitty-gritty details of each type of table saw, you can easily decide which one is right for you. All it requires is to check your woodworking needs and purchase a suitable table saw accordingly. Yes, You Can Camp in the Padres Outfield!